← What I love about spring…. For this TILT (Things I Love Thursday), a mosaic of beautiful weathered doors and windows from some wonderful photographers on Flickr. Click on each title to see the photographer’s photostream. Enjoy! 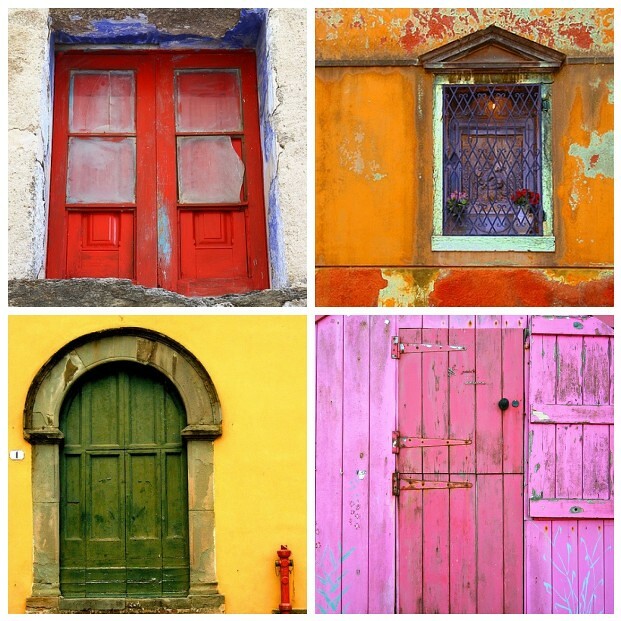 This entry was posted in photography and tagged bright colors, doors, peeling paint, TILT, windows. Bookmark the permalink. Wonderful. I love when a photographer can show the beauty in things that aren’t totally pristine. These are fabulous. I know you do. They are the best! Wonderful. I just started a book on wabi-sabi, the Japanese concept of beauty and futility and the description of what they think is beautiful is close to these weathered doors. You find the best books, Caroline. I’m so glad I found your blog. That’s so nice of you. Thanks.